Closed Sundays to allow employees time for family and worship. The warm smell of traditional masa wafts through the front door of the De Alba Bakery in McAllen, attracting passersby who crave a traditional, no-shortcuts, homemade tamales Mexicanos. Each morning, sounds of anticipation and excitement can be heard through the open door as students and parents crowd into the space to grab sweets and warm pastries, heirloom tamales, cakes and artisanal breads before beginning the day. Dora De Alba opened the first De Alba Bakery in McAllen in 1992 after their San Benito tortilleria had been established for nine years. Armed with artisanal baking secrets and tamales Mexicanos recipes from her mother’s humble kitchen in Mexico but with little knowledge of running a full-fledged bakery, Dora poured love, time and effort into the business until it became a huge success. She and her family learned trade secrets along the way, interacting with each customer with a personal touch that she felt other, larger establishments lacked. Soon, De Alba Bakery’s McAllen location was a neighborhood classic. In the early days, Dora was at the bakery from 4 a.m. in the morning until 11 p.m. each night, seven days a week. She often brought her daughter, Ana De Alba – De Alba Bakery’s current CFO – with her in the mornings. Ana would sleep in the office while Dora lovingly prepared traditional pan dulche, tamales Mexicanos and tortillas, just like her mother used to, for the people of her town. Each item was made with as if it were for familia, with love and care. Nothing was sold that Dora wouldn’t serve to her own children with pride. At first, Dora says she was scared to death that her bakery wouldn’t succeed, but customers responded positively to the warm, Mexican authenticity that flowed from the bakery doors from day one. After about two years, the bakery had grown into one of the best Mexican eateries in town and had a loyal customer base craving a taste of home. 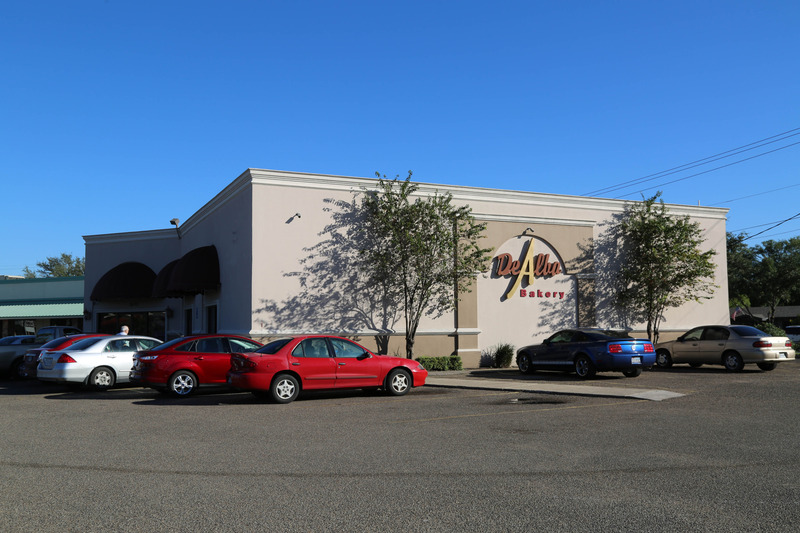 De Alba Bakery’s McAllen location is ideally located in the heart of downtown, near a junior high, an elementary school and the local university, and is less than a mile away from many central McAllen businesses. While the location is ideal, it is the ingredients that really set De Alba apart from other bakeries in the valley. Just as they do in their own kitchens at home, Dora, her daughter Ana, and their expert team of bakers take no shortcuts in making the most authentic Mexican breads and tamales Mexicanos. This means making each item from scratch with high quality flour, an abundance of eggs and many other uncompromised ingredients. Now, with Ana as De Alba Bakery’s new CFO, Ana continues to run her mother’s heirloom Hispanic business with the same de la familia promise and values the women in her family have taught over the years.